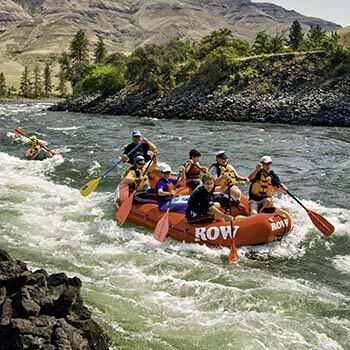 "Most fantastic whitewater experience anyone could want to have. Rapids that are both exhilarating but safe to ride on. The crew was awesome at their jobs and some of the best food you could ever want on a trip like this. Personal shout out and thanks to all who went on the first trip of the year with myself and my family." Where does one start? This was simply a fantastic and new experience for us and we enjoyed it all very much. There was never a dull moment...the river rafting was very exciting and was not scary after all, the food was very yummy and filling, and the games and other distractions were just perfect. It was nice to have someone else plan our day once we stepped into raft. It was a luxury to have all the meals prepared at each camp site and the variety of food and drink was excellent. The guides were exceptionally knowledgeable about the river, environment and rafting. The jester for the kids was an awesome feature for us parents and preparing kid meals ahead of the adult courses was always perfect timing. I can't say enough about the guides, they really crafted the experience and allowed us to enjoy our five days together on the river to the fullest. 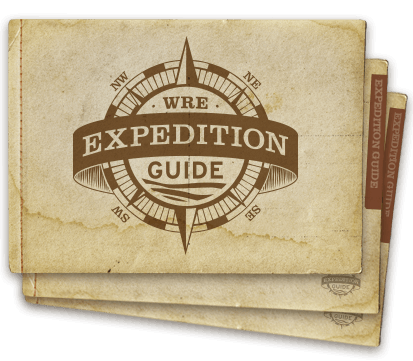 We look forward to inviting our extended family members on a trip with WRE/ROW in the near future. I'm floored that there are people out there who are multi-skilled and multi-talented, have incredibly pleasant and engaging personalities and never seemed frustrated with our inexperience or with our kids. These guides worked all day long and only seemed to rest when they were sleeping! They appeared to have as much fun as us, but took everyone's safety very seriously. I never once felt like they could not be trusted. I love the outdoors now! I'm not (until now) an outdoors person. This was a big step for me and my family and it worked for us in every way. My whole family loved the trip! Most fantastic whitewater experience anyone could want to have. Rapids that are both exhilarating but safe to ride on. The crew was awesome at their jobs and some of the best food you could ever want on a trip like this. Personal shout out and thanks to all who went on the first trip of the year with myself and my family. This was a great trip both on the water and off - great fun and confident guides who were helpful, knowledgeable and creative in their efforts to make this a memorable experience for all. The level of service was outstanding. The balance between 'serious learning' and fun was good. The food was fantastic. I appreciated tables and chairs. The experience was absolutely unique and to quote my teenage sons, 'totally awesome.' We learned, were thrilled with the whitewater, made new friends, ate like kings and most importantly, totally relaxed.